Kegler, Brown, Hill + Ritter is pleased to announce the addition of five attorneys to the firm. Four new associates: Kailee M. Goold, Jeff Nein, Michael L. Schottenstein, and Stefan T.E. Thomas will join Peter E. Jones, of counsel, as the newest members of the Kegler Brown legal team. Goold will focus her practice primarily in the areas of litigation, labor and employee relations, and health care. She received her Juris Doctorate in 2012 from The Ohio State University Moritz College of Law, where she was the note editor for the Ohio State Law Journal. Goold received the Ohio State Bar Association Labor and Employment Law Section Award in 2012, as well as the Ernest Karam Book Award for Excellence in Legal Research and Writing. Nein joins Kegler Brown in the areas of business and intellectual property. He will advise clients on general business matters, contract negotiation, and intellectual property licensing and protection. Nein is a member of the Entrepreneurship and Community Development Clinic, he received the Ernest Karam Book Award for outstanding writing skills and the Thompson, Hine & Flory Advocacy Prize for excellence in appellate advocacy. He graduated from the University of Cincinnati College of Law in 2012. Schottenstein graduated from The Ohio State University Moritz College of Law in 2012, receiving his Juris Doctorate. He was treasurer of the Moritz College of Law Student Bar Association and associate editor of the Entrepreneurial Business Law Journal. Schottenstein will focus his practice in the areas of business, tax and real estate. Thomas joins the Kegler Brown team with a focus on business and litigation. He will also practice in the areas of employee benefits, international business and professional responsibility. He received his Juris Doctorate in 2012 from Capital University Law School, where he was a member of the Philip J. Fulton Law Office Fall National Moot Court Team, receiving a perfect oral advocacy score in round one. Goold, Nein and Thomas were summer associates for Kegler Brown in both 2010 and 2011, Schottenstein was a summer associate in 2011. 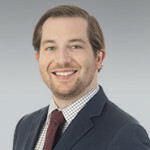 Jones has years of experience in litigating disputes and will focus on the Business Succession and ESOPs practice at Kegler Brown. He will advise business owners through every step of the business succession process and guide clients through funding strategies and governance frameworks, as well as counseling mature companies into the next phase of their business cycle.